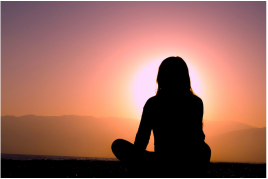 ﻿The Center for Mindful Living offers traditional psychotherapy, creative arts therapy, and coaching for individuals who are looking to live more rewarding and engaging lives. (See ​Practitioners for individual contact information). In addition, you can register for a variety of group classes, workshops, and contemplative practices. ﻿New to ​The Center for Mindful Living? With so many demands on our attention, we need time away to find our center. Through sitting and moving meditation we reacquaint with breath and rejoin the world with balance and calm. We offer a variety of in-depth workshops on mindfulness, self-care, relationships, and creativity. 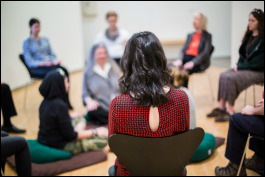 In addition, we regularly offer short session events to discover and practice mindfully together.